I am a musician specialising in electric, acoustic and bass guitar based in Leeds. I currently have many projects on the go including recording, writing and performing. See below to see what I’ve been up to recently. 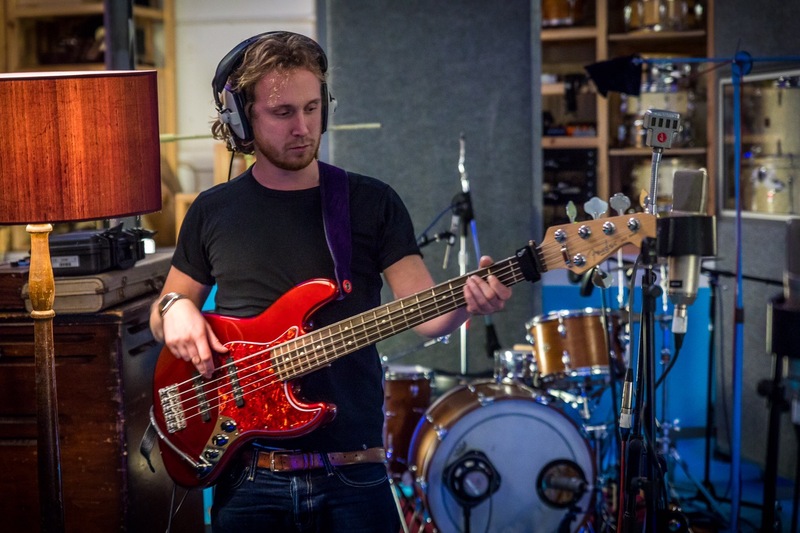 I had a great time spending a few days down in London in late October recording bass guitar for the British country pop duo Ward Thomas. Everyone involved were really lovely people and great musicians and producers. Just before this weekend I finished writing a collection of loops for ‘Blocs Wave’, an app developed by Novation. I did this along Singer/Songwriter/producer Neeta Sarl. I thoroughly enjoyed writing these and got to compose with drums, bass, synth bass, keyboards, electric and acoustic guitars and even things like mandolins and singing bowls! All the loops had to work over each other with regards to rhythm and key and were in a similar style to the work of Jon Hopkins. The pack is available on the app for £1.99 and is called ‘Evolve’. A couple of pictures from my weekend in Guildford. Gig with a fantastic 10 piece band. Bass Corner in my little home studio. I did a little bit of a check up on my Blues Junior. Followed by a Valve replacement. Another belting year at Soundwave Croatia including a longer road trip (stopping by Oxfordshire, Nijmegen, Berlin, Prague, Graz, Villach and Strasbourg), a slightly shorter and less sunny stay at Tisno, accidentally having dinner with Craig Charles, dancing to Gentleman’s Dub Club and thunder storms! I played at my old guitar teacher’s wedding the night before being picked up from Witney in Oxfordshire to start the long journey to Croatia. We set off about 10/11ish and easily made our ferry across to Calais with no sea sickness to speak of and started to make our way to our first destination in Nijmegen. We spent two nights in Berlin and had a rehearsal in Noisy Rooms which is an awesome rehearsal space with great equipment. We then proceeded to Prague via a music shop to buy some new gear as we had some laptop problems. The gig in Prague was…interesting and eventually turned into a blues and folk jam after playing some acoustic arrangements of Rogan songs. Leaving Prague early in the morning after some of us spent the night clubbing and some got an early night, we set off on our last leg of our trip to Tisno via Graz to pick up Josh’s brother. The next day we went out for a celebratory meal to Teresa (mostly because we were knackered) where we accidentally sat next to Craig Charles, who is hilarious and a truly lovely man, along with his family. The trip back was long, hot and tiring but we managed the whole thing without trying to kill each other and even included a lovely night and dinner on the outskirts of Strasbourg. After the ferry we went via Witney again to Manchester and finally tumbled into Leeds about two in the morning with about 3500 miles on the clock. Recording at Miloco Studios in London for Jennifer Ann. It was a great day recording two of her songs on acoustic and electric guitar as well as mandolin. Check out Rogan’s most recent video for a collaboration with Re:tract called Worry. There’s a good deal of my guitar and my face in it!! We also had a nice review from Indie Shuffle comparing Worry to Bonobo and Air. 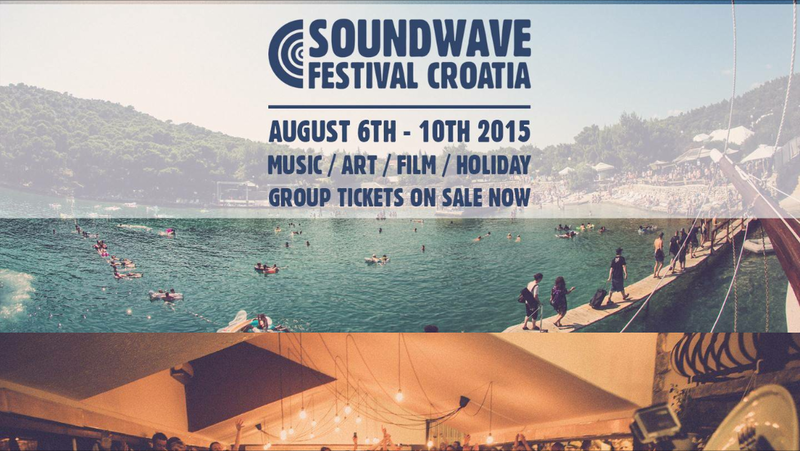 Rogan have been re-booked for Soundwave Festival again so we will be heading back to Croatia this year and maybe a few places along the way. Laser lights at Rogan gig in Leeds. 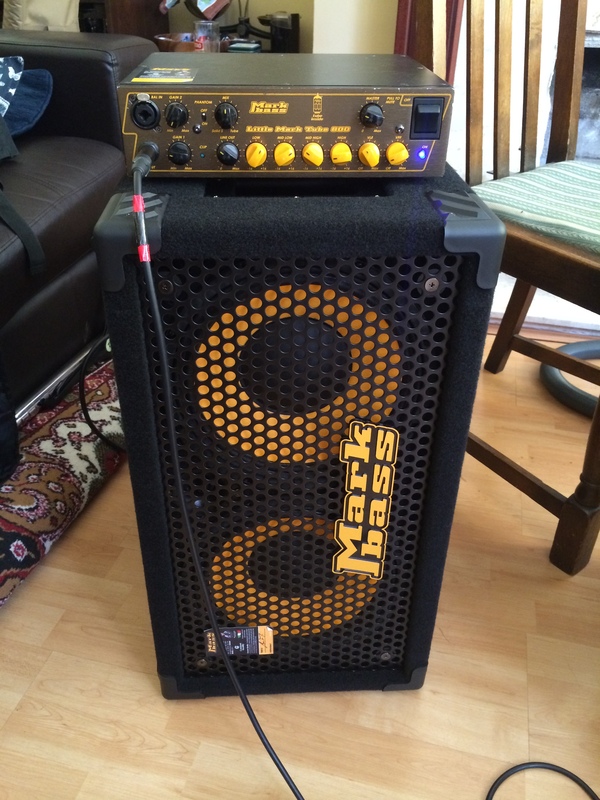 Finally got a matching Markbass cab for my Markbass head! Happy days. It sounds fantastic and weighs next to nothing. Worth every penny even if just to save breaking my back! Looking forward to this later this year with Rogan and Re:tract!! Here’s Ruby Lane and I playing at Burlesque Without Borders in Harrogate. Ruby Lane and I at Burlesque Without Borders, a monthly burlesque night in Harrogate. Chris Young’s most recent album is available from several outlets including CD baby, Spotify and iTunes. I am playing electric guitar on all tracks. New Music Video by Rogan. I’m playing bass! Click here to see earlier posts!